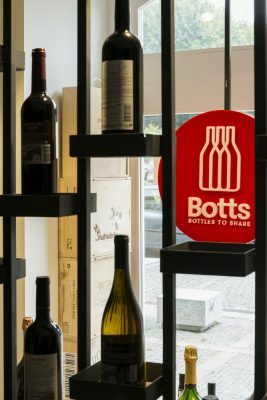 It is on the assumption that lays the creative concept of Botts, – Bottles to Share, a street store, typical of an urban centre and with a clear allusion to traditional commerce. 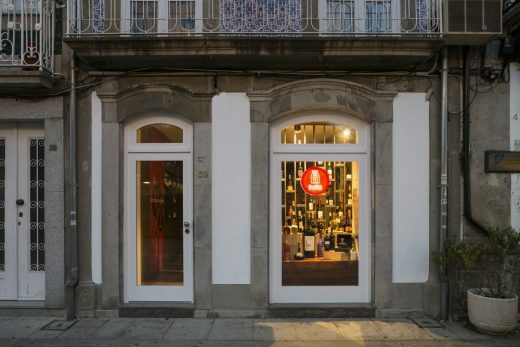 The store is located in the historic centre of the city of Viana do Castelo, facing the riverside area and one of its oldest and most emblematic cafes – cafe Cirassol. 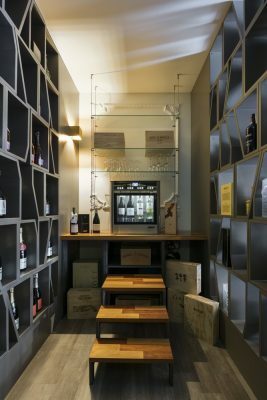 The creative concept as well as the cromatic concept of this commercial space was inspired by the now modernized traditional grocery store and the traditional wine and champagne cellars of France, where the experience of wine tasting becomes a unique experience that awakens senses and appeals to coexistence between peers. 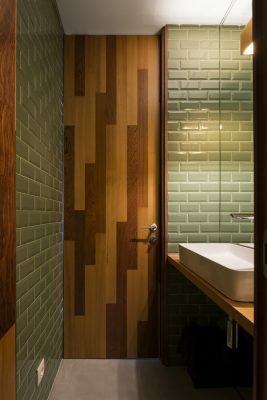 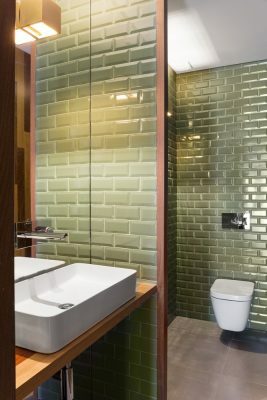 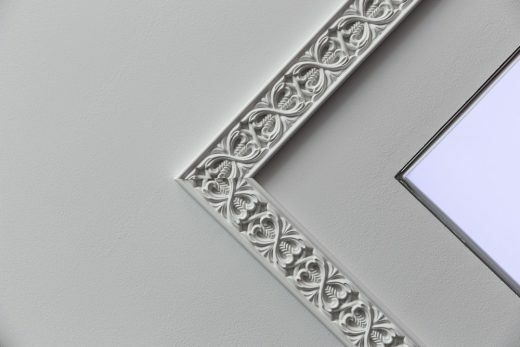 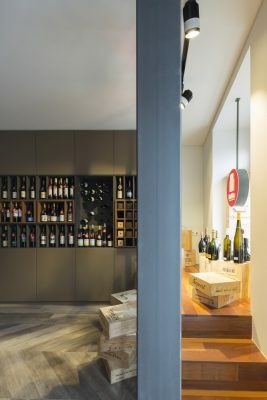 The soft neutral notesof the white ceilings and the grey of the floor blend with the warm tones present in the earthy and brown shades of the various wood used. 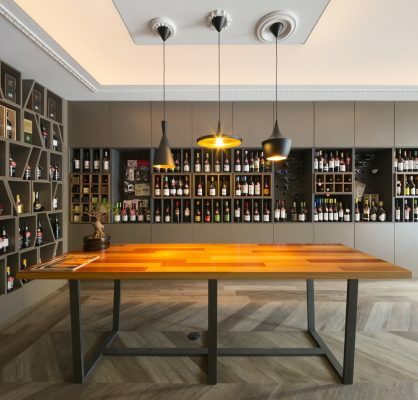 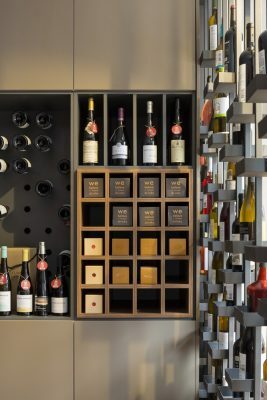 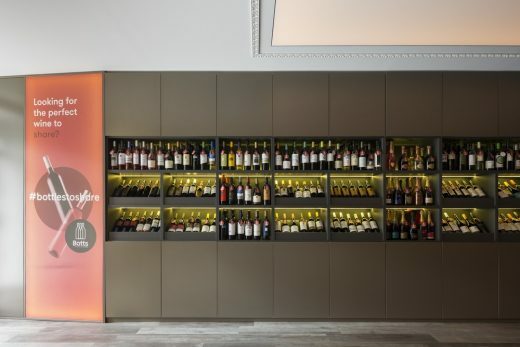 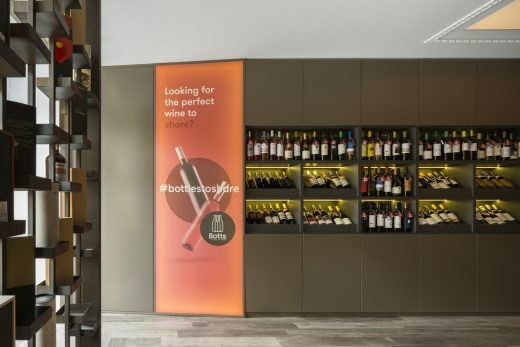 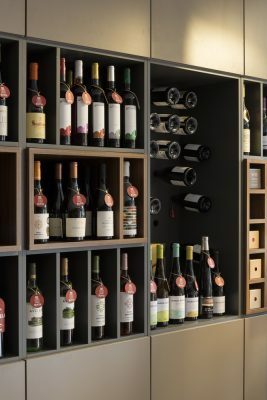 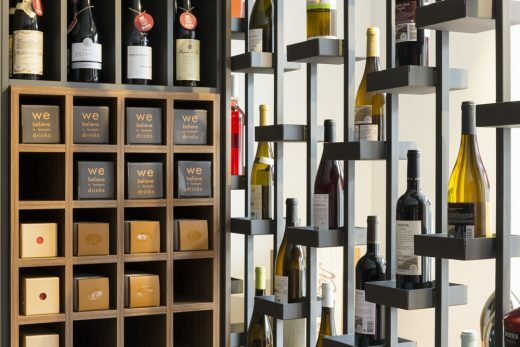 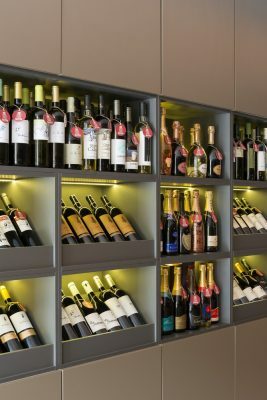 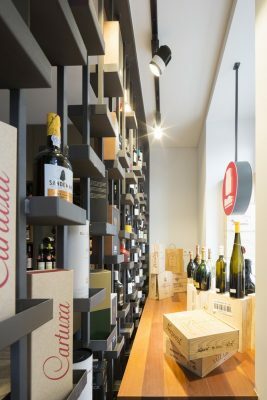 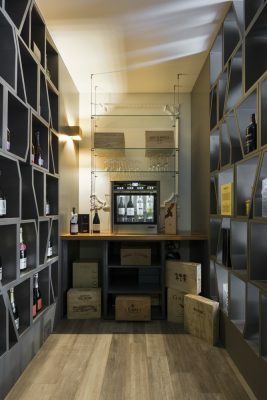 There are also black iron structures for the support of the bottles and wine boxes, revealing them to the final consumer who enjoy this panoramic at the moment of their space focuses warm and comfortable tones inviting to stay and taste. 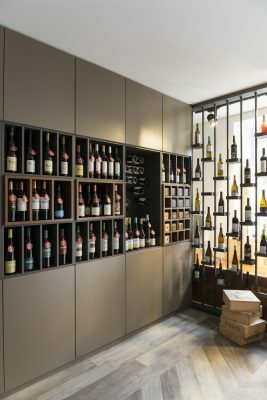 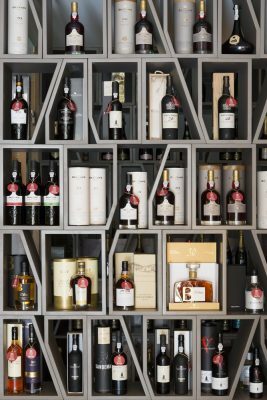 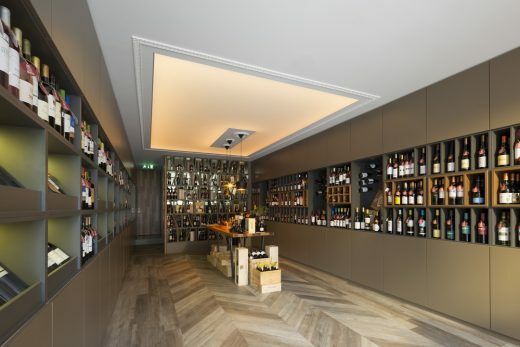 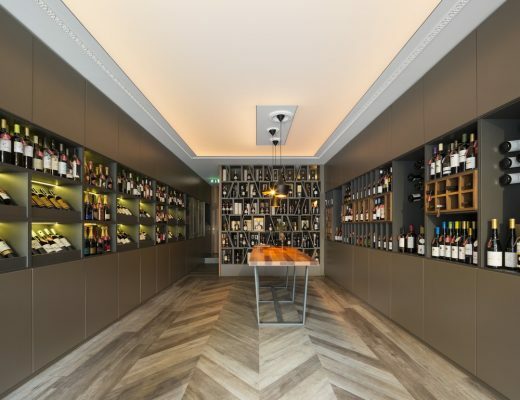 The functional concept of this space is based on the configuration of a traditional cellar that provides wine tasting and selling, “wine glass” selling and tasting of regional products from all over the country. 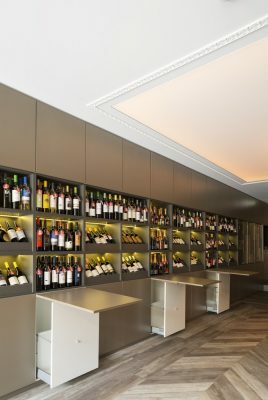 The space is divided in five zones of actions: “Vending” zone, Exhibition / Reception of clients’ area and a zone for products tasting, a “premium zone” and finallyt a warehouse area, that also allowes the exhibition of the products. 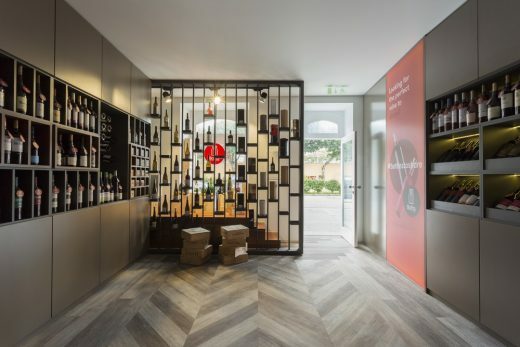 All these spaces are faced to the public to serve, helping their intergration and leading the experience. 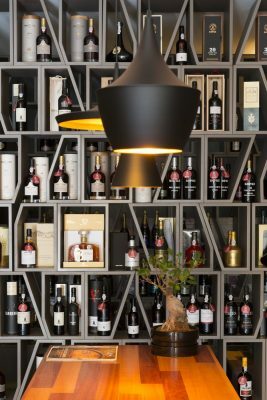 On hot summer afternoons, a small esplanade complements the project allowing the costumers to enjoy an aperitif at sunset.